We head to the Test World Mellatracks to test the best snow tires on a natural snow in rugged conditions of automotive proving facility in Finland. 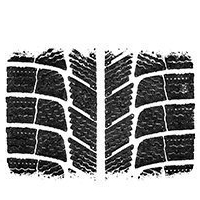 These tires are undeniable bestsellers on the winder tire market and have earned hundreds of good reviews as the best tires to drive in winter. During our test we’ll find out whether these tires are as good as they are said to be. 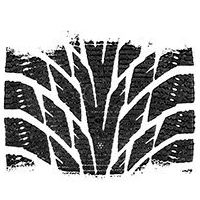 Above right: This symbol on a tire’s sidewall indicates that it meets or exceeds the Rubber Manufacturers Association’s standards for snow grip. If this isn’t on the sidewall, it isn’t a genuine winter tire. Best winter tires rely on their construction, rubber compounds, tread design, and what occasionally feels like magic to generate grip at the contact patch. 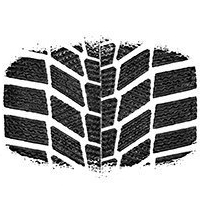 Almost all tire manufacturers make a tire in this category, which is targeted mostly at family sedans and hatches. But we limited our testing to the heavy hitters: tires from Bridgestone, Continental, Dunlop, Michelin, Nokian, and Yokohama. No one recommends you install just two winter tires. 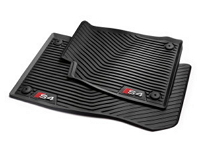 If you must for reasons of cost, though, the conventional wisdom is that you want the best shoes (or the least worn) in the rear no matter if you have a front-, rear-, or four-wheel-drive vehicle. To confirm or bust this bias, we mixed two sets of Michelin tires, winter and all-season, and ran a few laps of the snowcross with the all-seasons in front and the winters on the back, then vice versa. Conclusion: Putting the winter tires on the front wheels was a lot more fun. Not only was the grip-in-front car easier to steer and brake, it was also 3.2 seconds quicker around the little circuit at Test World. But that lap came with a wallop of oversteer, the kind of rear-end looseness that would catch most drivers out and toss them right into the ditch. Putting the winter tires at the rear yielded stubborn understeer, which is way more predictable than the alternative. So if you’re going to mix tires, for safety’s sake put your best rubber at the rear. You may think you don’t need best winter tires because your car has all-seasons. But, ironically, if you live somewhere that actually has all the seasons, you need winter tires. For perspective on this issue, we asked Michelin for a set of all-seasons, and it sent over its Pilot Sport A/S 3. If we were going to buy an all-season tire, it would be this one, because it actually has some serious dry grip in summer conditions. 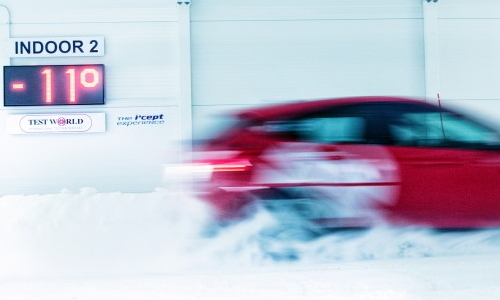 But as good as it is, the Pilot Sport was nearly six seconds off the Nokian’s pace on the snowcross, and it didn’t come close to any of the winter tires’ braking performances. On the snow, it took five feet more to stop than the average of the six winter tires on the following pages. Five feet may mean the difference between a fender bender and an accident-free winter. Braking distances on snow may be the best reason to fit a set of winter tires, and Inuit stoplight drag racers would do well to note the extra second of acceleration from 3 to 18 mph. The iceGUARD’s largest point loss came on the snowcross, where it showed the very desirable trait of progressiveness—turning and braking in a linear manner. It’s a calm tire, never losing or gaining grip unpredictably. That said, the iG52c’s overall lack of maximum traction put it nearly two seconds behind the quickest tire in the snowcross, which is a massive gap on a 30-second track. I have been using Blizzaks since 1985. That first car being a Honda CRX Si. I now have them on a Audi A4 Quatro and I have never driven anything better in the nasty stuff. I have a 4 wheel drive Nissan Titan that I won’t even think about driving in the snow and ice because the Audi with the blizzaks is so good. I think the cold dry test conditions at this track doesn’t really mimmick real world driving conditions. Mix in a little salt and raise the temp to 25 or 30 and see how they do then. I appreciate the objective measurement results under totally controlled conditions, but when choosing winter tires, an important criterion for me is deep snow traction. 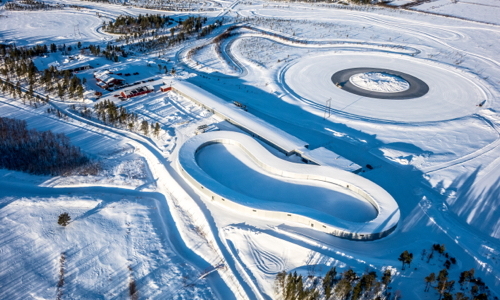 C&D’s test was done in late summer, limited to the refrigerated indoor facilities with no testing in real world conditions of freshly fallen snow. I have to drive on hills after heavy snow, sometimes hours before the plows clear the roads. Last year I made it up a 12.5% grade in 7 inches of new wet snow with front-wheel-drive using Firestone Winterforce tires. (They are noisy and bad on ice, but they sure grip in the deep snow.) I saw several cars stuck in parking lots and at traffic lights on nearly level ground. Today I am having Nokian Hakka R2’s installed on an AWD Subaru. It looks like they are great tires on groomed snow similar to a snow-packed roadway, and on ice. What about performance in different types of fresh snow – wet slushy snow, dry loose snow, or drift-packed snow? A test under these conditions would require subjective evaluation. Maybe equip several identical test cars with different tires and have a panel of drivers drive each car in the same conditions (including hilly terrain) on the same day, repeating the test over a period of weeks during different snow events. The testers may develop a consensus on one or two tires that excel in deep snow. I would include starting from a dead stop, taking momentum out of the equation. I looked at the Nokian website referencing many other tests, hoping to see if any tests included deep snow. Unfortunately, the test publications did not have English editions. I hope the Hakka’s are worth the premium price and at least equal in deep snow to any other tire. Compared to the Winterforce, I believe you will find the R2 to be a far better tire in every condition. I just ran a used set of The original Rs on my wife’s FWD minivan for 3 winters before running them off this summer. Even at 1/2 tread depth, they had no problems running highway speeds in a few inches of unplowed snow. In really deep snow, they probably won’t stand up against Hakka 7s (maybe 8s) or even my Altimax Arctics (rebranded Gislaved NordfFrost 3), just due to a lack of voids, but that is the trade off for going studless. Regardless, the Winterforce without studs is a pretty lame tire (I’ve never used a studded set) except maybe in fresh snow as long as you don’t push too hard. 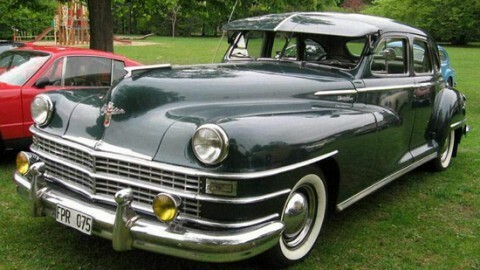 I have run Hakka’s for years…bad snow even and my Honda & my 2 Pontiacs would pick up their fender skirts and dance on OE all seasons (so want my Saab back some days… mini tank)… disliked the Firestones. Hakka decision should not be based on this test. They developed their tires in real world conditions which is what drove me to them initially. Rochester, NY gets real snow normally, usually well over 100 inches a season and 10-12 inches in a night is not uncommon. East of the city is worse which is where I lived. But, hey, you price tires verses body work and you decide. Most winter collisions we walk away from… the cars however. 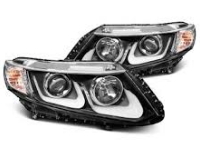 Over 2,200. for 1 fender, a bumper/ head light and some glass and paint after hitting a fawn with no collision coverage… I’m buying Hakka’s, their cheap. I agree w/ rxcrider, wish I could do the 8’s $$ wise. Update – I just had the chance to drive the Impreza with the 4 new Hakka R2’s after 3″ of heavy slushy snow. This is the kind of snow that we call good snowman snow. The ground was still warm enough to turn the snow slushy underneath. On a highway that had been plowed but was still slushy, the car never showed a problem. I wanted to test it against hills that I drive regularly in winter. I slowed to about 5-10 mph to creep up the hills without a running start. Not a hint of wheelspin, even where there were no wheeltracks or plowing. 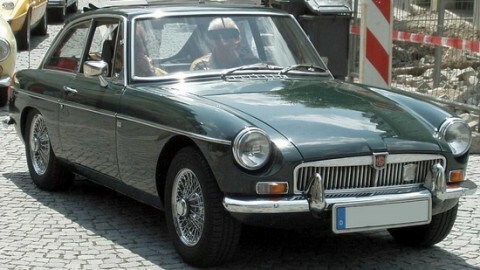 Cornering at modest speeds on city streets showed no sign of oversteer or understeer. I had just one chance to drive with the previously mounted all-season tires, and there is quite a difference. Does Car and Driver accept Soft Money from any of the Tire Manufacturers? Don’t let cost stop you from getting the snow tires you know you need to stay safe. Check out rnrwheels, they can custom fit your vehicle at really affordable rates so you can weather any storm! Nokian recently admitted to providing specially prepared tires for media testing that had better features than the standard tires. Does this news change the test results here? We have a fleet of six vehicles equipped with winter tires. We’ve been buying them going back several generations. The X-Ice is a good performer and more widely available than the Nokian Hakka R2, but in our experience the Nokians last at least one season longer, and thus are a better buy even if they cost the same. If you don’t put them on until the snow flies and take them off in spring (maybe risking 1 snowfall after) they last forever, had my continentals for 4 seasons, only reason I changed is because I popped one. The nokians on my moms car after one season were only down 1-2 32nd’s out of 11, they should last 4 years easy. Regarding the Nokian WRG3 tire that some people are claiming is an ‘all-weather tire’. Nokian’s marketing has worked: people are presuming the WRG3 is the only ‘all-season’ tire that can actually work in winter. But it’s really a performance winter tire that should be able to work in winter. The Nokian WRG3 is really a European “performance winter tire” being marketed as an “all-weather tire” in North America. Some newer performance winter tires should be better than the WRG3 in snow and wet The best studless winter tires should be better than WRG3 tires in much colder and heavy snow conditions. Since it’s really a winter tire, a key issue about the WRG3’s limitations would be how well it performs in dry and wet during the warmer summer months compared to all-season tires. 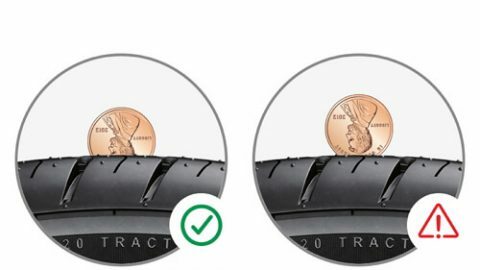 On North America’s Nokian Tire website the Nokian WRG3 is actually two different tires (each with completely different thread patterns) for different tire sizes and car categories. 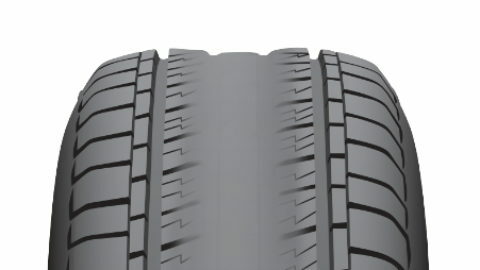 Both WRG3 tires look identical in thread pattern to two older Nokian performance winter tires (WR A3 and WR D3) in Europe’s Nokian Tyre website. – The larger Nokian WRG3 tire sizes have an asymmetrical thread pattern that Nokian says are for mid-sized sedans, minivans, larger vehicles and more powerful vehicles (like your 4Runner). In Europe this thread pattern looks identical to the Nokian WR A3 tire. – The smaller Nokian WRG3 tire sizes have an arrow-shaped tread pattern that Nokian says are for “smaller family cars and drivers who value safe, economic driving”. In Europe, this thread pattern is identical to the Nokian WR D3 tire. Nokian probably repackaged both old performance winter tires from Europe and promoted them as “all-weather tires” for North America. Hopefully Nokian made changes that can’t be seen (e.g., tire compound) to improve their summer use and durability. However, if Nokian did not change anything, then these WRG3 tires are really just winter tires being marketed as all-weather tires. If so, today’s newer performance winter tires (e.g., Continental Wintercontact TS850, Goodyear Ultra Grip 9, Michelin Pilot Alpin PA4, Dunlop Winter Sport 5, Pirelli Winter Sottozero 3) should be better than these older Nokian performance winter tires in snow, wet and/or dry conditions. Indeed, several tire tests indicated other performance winter tires were better overall and for snow than the Nokian WR A3 and the WR D3 (and therefore better than the WRG3). E.g., search for “6 Winterreifen im großen Vergleich” in Auto Motor und Sport. “6 Reifen der Größe 235/55 R 17 im Vergleich” in Autozeitung. “winterreifen 2014: elf pneus im test” in Autozeitung. “Die besten Winterreifen der Saison” in Autobild. Regardless, the best studless winter tires like Nokian Hakkapeliitta R2 should be better in ice and snow than the WRG3. Finally, Nokian’s all-weather tire in Europe is the “Nokian Weatherproof”. It has a completely different tire thread than its all-weather “Nokian WRG3” tires sold here. Thanks for the best winter tire test. This does not help much though since the there are so many tires brands that were not tested. What about Pirelli, Goodyear & Toyo in the high end not to mention both Hankook and General Tire make some excellent winter tires that probably outperform several of the big names at a fraction of the cost. One other problem is that winter tires spend most of the driving time on dry or wet (with salt the roads can be wet without freezing even at slightly below 0 deg F). I live in an area where we average 6 ft of snow annually (seen 20 ft a few years ago) and the way a car handles in dry & wet conditions is every bit as important. In fact, the only time i have ever returned a set of winter tires was because the the car felt as stable as driving with marshmallow tires. As stated by several in this forum. 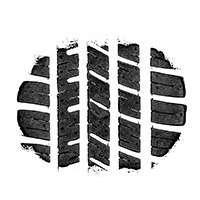 There are several sites that provide information about tires online and that can give you an idea as to what tires suits your car and driving needs depending on where you live and what you are usually diving on. These are the best, the only tire worth adding would be the budget General Altima Arctics as I think they would come in 4th or 5th surprisingly, nothing Pirelli, goodyear or Hankook makes can come close tot he top 2. The Hankook Winter iPikes are trash “Studable” tires, they are basically firestone winter forces better for dirt and offload than ice and snow. Wondering what tire size your prices refer to… I have Michelin X-Ice Xi3’s on my 2015 Mustang GT, and they were $209 / tire last year. 235/50R-18. Another interesting related issue is size of the winter tires. 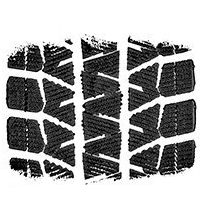 Many drivers and tire shops presume it’s okay for winter tires to be one or two sizes smaller than their OE tires, without first checking with their manufacturer’s expert whether it’s appropriate. In my research on the new Continental WinterContact Si tires last month, I got this emailed advice from Joe Maher (Continental Tire’s product manager for Passenger and Winter tires for the Americas): “I would only recommend the OE size with all 4 tires being the same and replaced at the same time. I have heard of many issues with mis-matched, or changing sizes on All-Wheel Drive vehicles where it can damage the drive train of the vehicle. I am not the expert since every vehicle manufacture has different specifications. I strongly recommend, before varying from standard that you consult an Audi expert… I see your OE 19′ size is 255/40R19 (I really cannot recommended anything different than OE size on all 4 wheel locations). Acceptable sizes if approved by the Audi expert, would be 235/50R18 or 235/45R19. 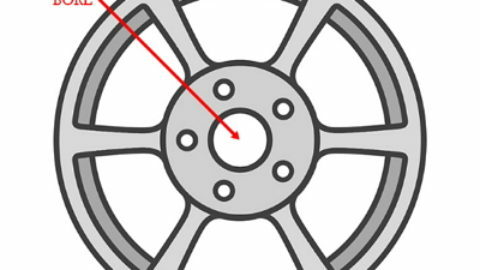 I know it is very common to change sizes when going to winter tires but I do not want to steer you wrong…please check with your Audi expert before changing.” Joe was also helpful in clarifying the three winter tire segments mentioned above. I happened to have the larger 265/35 R20 OE summer tire option. Audi’s standard/base summer tire for my car is 255/40 R19 100Y and standard winter tire is 235/45 R19 99V. After looking at tire sizes in Audi Germany and consulting an Audi expert, I chose to drop down to 235/50 R18 for the winter tires and put them on an Audi R8 replica wheel (black tire on black wheel looks larger than it really is). Finally, check that your tires are consistent. 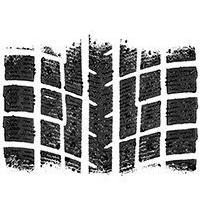 Check the last four digits of the DOT on all four tires to determine the week and year the tire was made (e.g., 2815 means the tire was built in the 28th week of 2015) – chances are that an older built tire might have been stored poorly or its tire life might have diminished. Also make sure your tire shop uses all four tires from the same specific SKU number (stock keeping unit) otherwise you could have one or more tires with slight variances in size. The same brand, model and size (e.g., MIchelin X-Ice 255/40 R19) tire in one SKU may be slightly different in size in another SKU (slightly wider/narrower than the width and slightly taller/shorter in profile than the stated tire size). Three weeks ago I bought the Nokian Hakkapeliitta R2 tires after reviewing several European tire tests available on the internet and the recommendation of a friend who has used Nokians. These Nokian Hakkas were the first ‘studless snow-and-ice’ tires I bought (after using the best ‘performance winter’ tires from Pirelli, Continental, Goodyear in the previous 15 years). So far these Nokians have performed decently in the recent dry/wet mild temperatures (though slightly less capably than those ‘performance winter’ tires), though I am waiting for the first big snowfall to really assess the Nokians. Virtually every winter tire I’ve bought in the past 15 years was done after considering the appropriate winter tire tests from Europe – i.e., mostly Finnish, Swedish and Norwegian tests for studless winter tires (northern Europe) or mostly German tests for performance winter tires (middle Europe). There are several tests available in Europe, but to find them sometimes you have to search in Scandinavian and German languages. Most current European tests (especially from Finland, Sweden and Norway) consistently rated the Nokian Hakkapeliitta R2 as the best non-studded (studless) winter tire, followed very closely for snow/ice by the new Goodyear Ultra Grip Ice2 (not yet available in North America this year). At least one test had the two tires locked in a tie. These tests consistently rated the Goodyear Ultra Grip Ice2 better or as good as the Michelin X-Ice XI3. The Nokians are still the best for snow and ice, but I probably would have bought the cheaper Goodyears for their overall value had they been available (rather than the more expensive Nokians carried by fewer dealers selling at what seems to be a controlled price). So Goodyear, if you’re listening, make your Ultra Grip Ice2 available. (1) performance winter tires (this fits the middle Europe region winter climate) which are focused on wet, snow and dry performances in order of priority. (2) studless or non-studded winter tires (this fits the very cold Nordic or Northern Europe region winter climate ) which are focused on ice, snow and wet performances in priority order and will perform in very cold conditions. (3) studded or studdable winter tires (this fits the very cold Nordic or Northern Europe region winter climate) which are focused on excellent ice performance and will perform in very cold conditions. Some feel that all-weather tires like Nokian’s WRG3 qualify as winter tires. Perhaps the WRG3 works quite well in cities and regions where the winter temperatures consistently vacillate around zero and there’s less snow/ice – but when it becomes much colder and there’s lots of snow/ice, I doubt the all-weather tires would work as well as the best studless winter tires. Perhaps C&D’s next winter tire test can compare the best 4 studless winter tires, best 4 performance winter tires and best 2 all-weather tires. I haven’t seen such a test anywhere, but that’s really the kind of test needed to help people decide which tires to get for their winter conditions. On a related issue: Whenever your tire shop inflates your tires after an installation or changeover, always check the pressure of all four tires with your own (working) gauges before leaving the shop area as it’s possible their overused gauges may be faulty. I 100% agree. I purchased the Nokian Hakkapeliitta R’s 5 years ago for my car. Makes a world of difference, compared to the all seasons I had on previously. When it comes time to replace them I will be getting the R2’s. 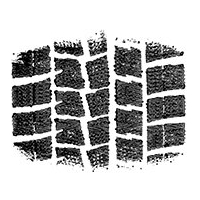 The cost of the tires is offset by the reduced wear on your stock tires. That leaves the real cost to the second set of wheels. Many dealers will perform free seasonal changeover. Or you could buy from an online retailer and install yourself with a $50 jack. I site mine in the shed, but a piece of plywood makes them a decent basement table. And how much is the cost of your insurance deductible, or the ability to get home on that snowy day? 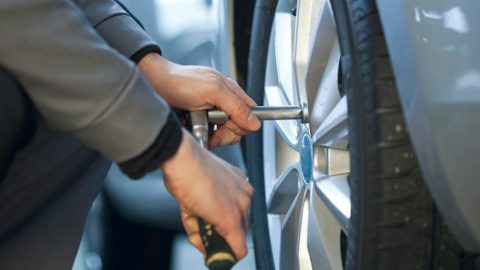 One can get winter tires and steel rims for under $1,000 for most passenger cars and with proper tools, it takes less than an hour to change them. That is a small price to pay for safety and potentially low insurance rates. All one needs is a 1/2″ torque wrench, breaker bar and decent trolley jack. If you own an European car/SUV, throw in another $10-20 for a tire change tool and if you’re really splurging, a reset tool for the TPMS. I have a Focus ST (Eagle F1 summer tires) and after going through it’s first year on summer tires (I live in Philly so lots of snow too) I will never do that again. I put Blizzak WS80’s on my stock wheels (235-40-18) and then bought some Sparco Pro Forza’s and put my summer tires on there. It was a $1600 investment but the way I see it I will only be running the fast wearing summer tires 9 months out of the year now and I scored a sweet set of wheels too along with having proper winter tires as well. It;s a bit of money but since summer tires are useless in the snow (I found that out last year) it seemed worth it to me. Yeah, getting through a winter on summer tires would be difficult. I can see why you purchased new rubber. I wouldn’t even consider anything but all season tires on my daily driver here in RI. It’s a one time thing and my car really is a lot worse on all seasons vs summer tires (handling and grip) the rest of the year. I am set now and used it as an excuse to get some sweet summer wheels too! Damon, I purchased a used german 4wd saloon a few years back and the owner gratuitously included a set of Nokians on winter rims. I have run them for 2 winters in Rhode Island and loved every minute. Compared to the cars running all-seasons, I have never had a flat during the winter due to the XL walls (not so on the all-seasons), I have had superior grip, and the Nokians actually produce better fuel economy than my Summer Eagle F1s. Snow or no snow, arctic temperatures are enough to justify these tires, and the mounds of snow over the last few years further solidifies my opinion. This is one of the few somewhat proper tests I’ve seen from a US publication. Still it would have been cool to see a “true” northern winter tire (Scandinavia and Russia receive special “better” winter tires for sale), for example Contintentals ContiVikingcontact 6 or a Nokian equivalent. Having grown up in Finland, living most of my growing up years in the US and also getting to go back later on and live back in FInland I got to really grasp the importance of winter tires and why they are mandatory in most northern places. When I lived in Finland I worked for Audi and got to visit Continentals R&D center, Contidrom in Hanover Germany last year. There they really drove home the difference in tires and the amount of time and research that really goes into tires. They said a winter tire takes approximately 50-60% more time and money to develop compared to a summer tire. It is definately cool stuff! This article just made my day… I bought a new set of continental Wintercontact SIs last month and I was a little nervous about it. Most of the winter tires were out of my price range and I almost just went for the General Altimax. These were not that much more expensive, but they were brand new and nowhere had reviewed them yet, so it was a little bit of a gamble. I’m thrilled they tested so well, and that they are such a great tire for the money. Now I can’t wait to throw them on my car and start praying for snow to try them out! I’m done with you mild weather, bring on the winter! I have to use snow tires on our Prius because it is such a crappy car in the snow and our state believes the sun is the only real snow removal available. That said, I have owned a good number of cars and live 30 years in the great lakes snow belt region, if you face more than a few days of snow, these are musts. I recently got in to a debate with a Sabaru owner about which is better, AWD with all seasons or FWD with snow tires. He conceded very quickly once I asked how is your turning and stopping helped with AWD? My 435 hp rear-wheel-drive Mustang with snow tires is better in the snow than a Subaru on all seasons. I can buy that, my best freind had a 1990 Linchon Mark VII LSC and he ran a set of studable snow tires an 80lbs of sand along with his two SLP 15s here in upstate NY and he never get stuck. His Mustang GT with all seaons and just as much weight in the trunk, not so much. Too bad they didn’t compare to a nice all season tire. The A/S 3 is a phenomenal all season performance tire designed more for a wide range of temperatures, rather than snow or ice. It consistently performs at the top for dry/wet performance, but ranks toward the bottom for all season tires in winter/snow/ice performance. I would have liked to have seen these snows compared to a Continental DWS06, Pirelli P7 All Season Plus or Michelin Premier A/S, which are actually pretty good in the snow/ice for all season tires. I typically go with the DWS (now DWS06) in the winter because we don’t get a ton of snow in Delaware. These winter tires compromise a lot in the dry and wet, are louder, and wear faster than an all season tire, so unless you’re in a climate that gets a lot of snow, a very good all season tire is better in my opinion. Not entirely true about giving up a lot in the wet. Winter tires do better in wet than all season tires do. Summers are the best obviously when it’s warm, but when it’s below freezing and the summer tires harden up and lose efficiency, the best way to go is a winter tire. 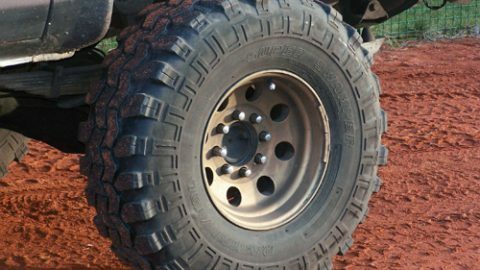 They’re made with a softer rubber so when it gets cold, they remain grippy while other tires harden up and lose effectiveness. But yes they are louder and wear faster than all seasons. I agree Syd. I run Pilot Super Sports in the summer and even around freezing the wet traction is far superior to dedicated snows I have run. Once well below freezing, the snows were better. However, even well below freezing, an excellent all season tire such as the DWS06 or the A/S 3 are superior to snows in the wet, just not in the ice and snow. If you’re like most people, you’re driving more in dry and wet cold conditions. For those that live in areas with a lot of snow or poor roads, the snows are worth it. 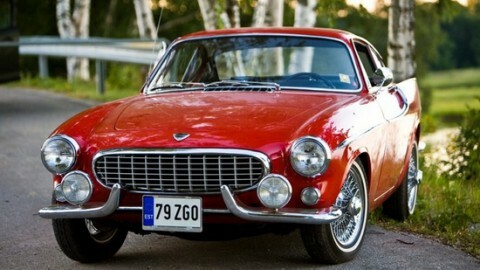 Otherwise, you’re compromising a lot of traction for the majority of the time you’re driving. Super Sports are an anomaly of a tire, they are just too good! Prior I ran Hankook Ventus V12’s and once it was wet and below 60F, they were skittery and gripless until you could warm them up with 5-10 miles of constant driving. Driving a 2015 Mustang GT, I use Michelin Pilot Sport A/S 3’s in the summer and Michelin XIce Xi3’s in the winter. Original equipment was Pirelli PZero Nero all seasons (which I got rid of with 5,000 miles on them because they were terrible), so I’ve run three different tire types on my car. The XIce Xi3’s are BY FAR the quietest of the three. And the difference in performance on snow is simply beyond comparison — my 435 hp Mustang drives better on snow with the Xi3’s than any BMW XDrive or 4Motion Mercedes I’ve driven on all-seasons. 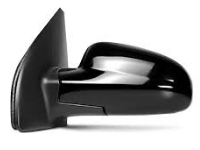 They also deliver a more compliant ride on dry pavement than either the Pilot Sports or the PZero Neros. As far as wear goes, I can’t say — I put 3,000 miles on them last winter, and another 500 or so since I put them back on a couple of weeks ago. Holding up just fine so far — which is a pretty good testament to them, since performance all-season tires usually last me around 12,000-15,000 miles on average (New York City is just hell on tires). I am on my second set of them and so far, I have been very pleased. I read all the reviews as well and I’m sure that a set of Blizzaks would outperform them in measured testing, but out in the real world, I don’t think the extra cost is worth it. I just put a set of Winterforces on my wife’s 2015 Escape and the whole thing cost me $450 including installation. You can’t beat that price! Last year I got to drive a Focus ST with Blizzaks on it. It was excellent, but the difference in performance was almost negligible given the difference in price. In my opinion, the two best snow tires out there for the money are the Firestone Winterforce and the General Altimax Arctic. I had a set of Altimaxes on a Jetta a few years back and they were spectacular. I should also mention that I am now on my 4th winter with a set of Winterforces on my winter car, a 2004 Ford Focus, and they still have use-able tread left.